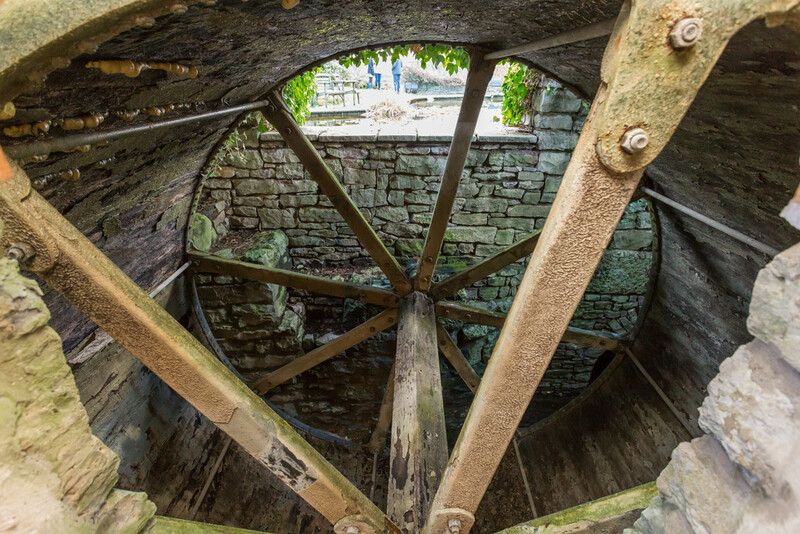 A rare opportunity has arisen to acquire a distinctive and sympathetically converted watermill dating back to the 13th century and providing extensive accommodation tailored to someone looking for a unique living experience, with the added benefit of an adjoining cottage, a large garage/workshop and around 1.5 acres of beautiful gardens and grounds. 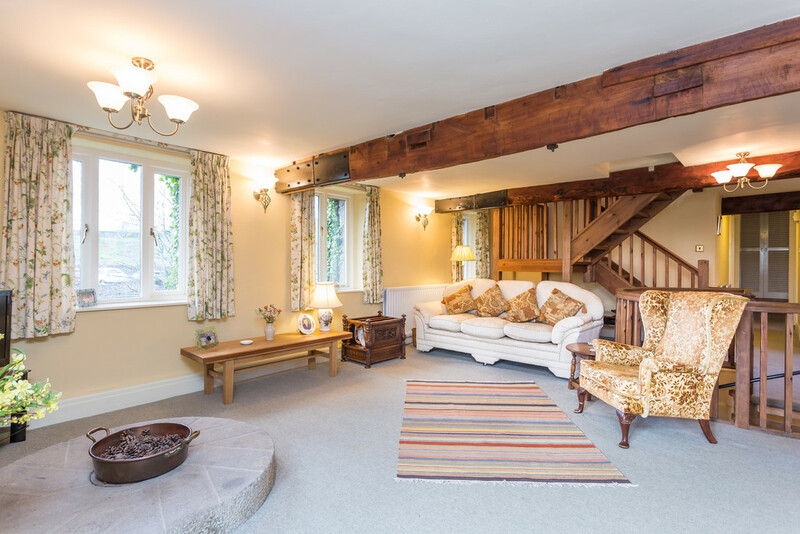 The present owners of Viver Mill renovated the property to create a stunning family home and wanted to retain as many of it’s original features as they possibly could, including the original water mill wheel and impressive cruck beams which add character and charm. 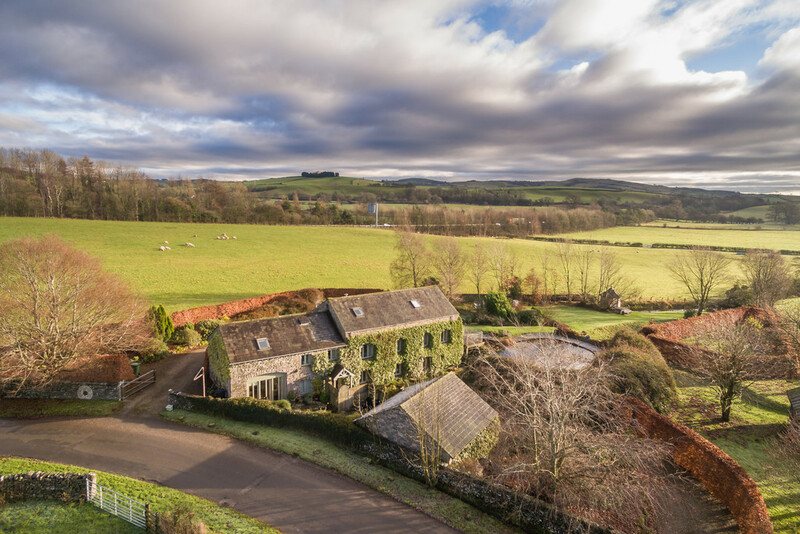 The present owners operate a successful bed and breakfast business, letting out two bedrooms in the main house, and this may be of interest to those parties looking for a brilliant home based business opportunity. 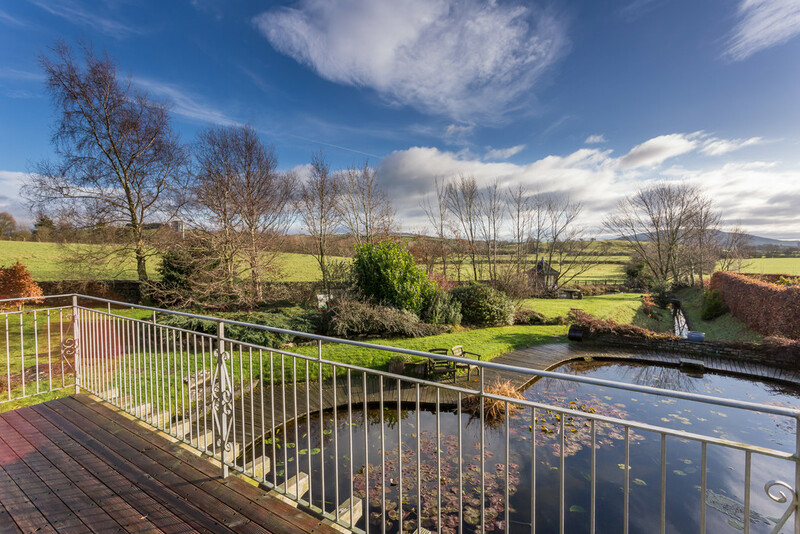 Set within the peaceful rural Hamlet of Viver, which is situated between Stainton and Hincaster, Viver Mill is ideally located for commuters wanting to use the M6 as close to J36 and those looking to enjoy the countryside and beyond. The historic market town of Kendal is about five miles away, renowned as being the gateway to the Lake District and It’s also convenient for access to Milnthorpe being three miles away, which benefits from a variety of amenities including Booths supermarket and a good selection of highly regarded secondary schools including, Dallam, Kirkby Lonsdale and Queen Elizabeth School. 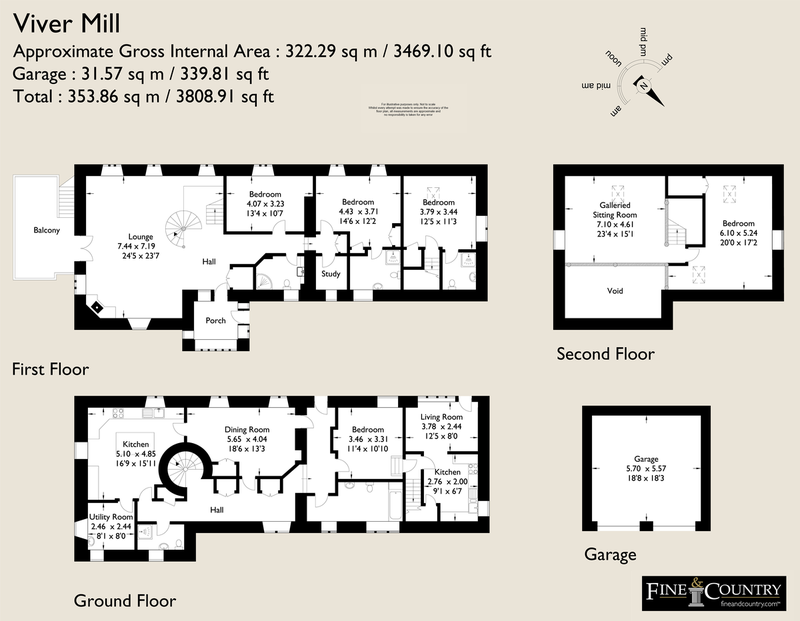 Viver Mill benefits from two separate private gated entrances. One of which is completely unassuming, with a gravelled driveway affording ample parking and leading to the entrance door. This opens up into the entrance porch to reveal the instantly characterful and welcoming atmosphere, setting the tone with Kiln tiles and the Miller’s initials as it was the tradition for the workers to carve their initials into the wall; the vendors have counted 12 sets of initials in total! 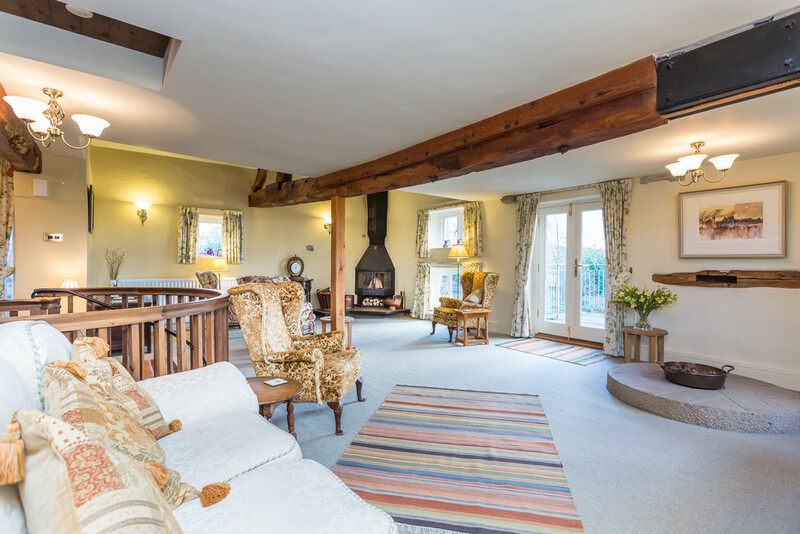 From the main porch leads you directly into the open plan living area where the original beams of the mill create the ideal focal point for this wonderful entertaining space. Further charm is added by way of a large corner multi fuel fire sat on a tiled hearth and feature spiral staircase. Filled with natural light afforded via ample windows and a balcony door that looks out over the picturesque pond and rolling countryside. The first floor houses two generous size double bedrooms, one of which has an ensuite bathroom with three piece suite and built in wardrobe space. 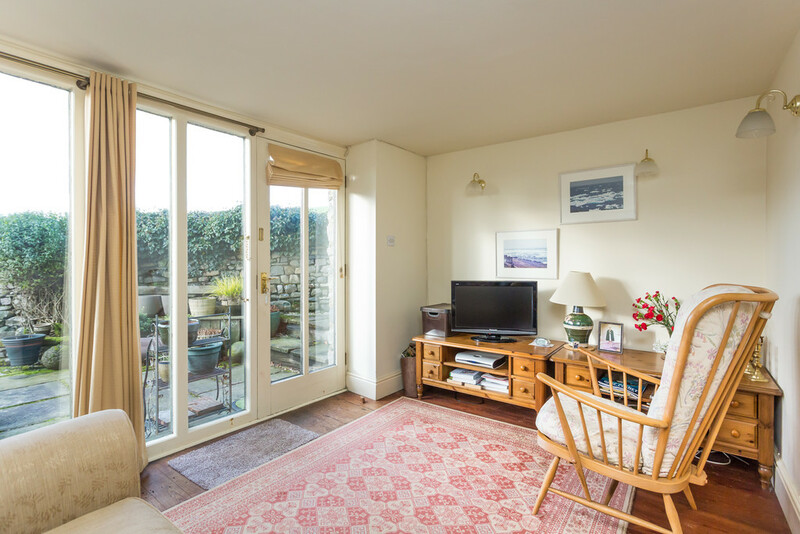 There is a study area which could be used as an ideal home office and the property benefits from B4RN cabling in the garden which would provide hyperfast internet connectively, should you wish to connect to. 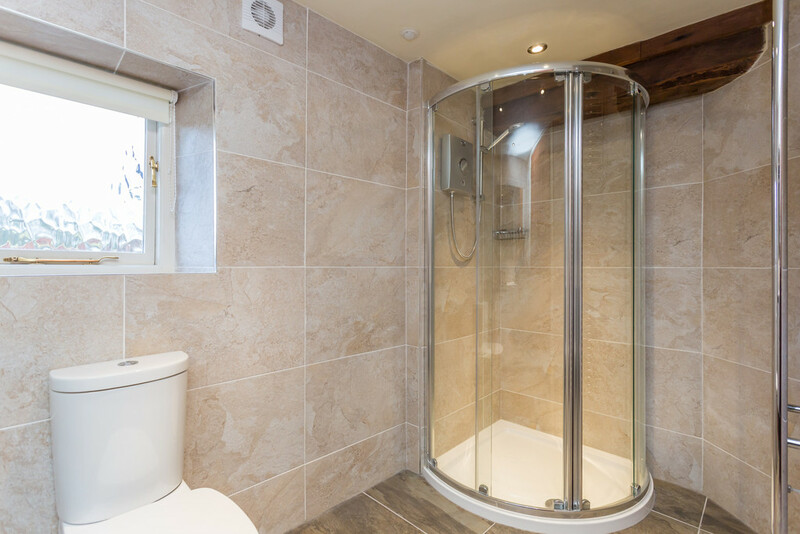 Also on the first floor benefits from a house bathroom, comprising a fully tiled shower room with corner shower cubicle, towel radiator, WC, and vanity unit. Most uniquely, the spiral staircase leads up to a the second floor galleried sitting room, the perfect hideout for children and adults alike which is full of character and includes the internal cogs of the mill. 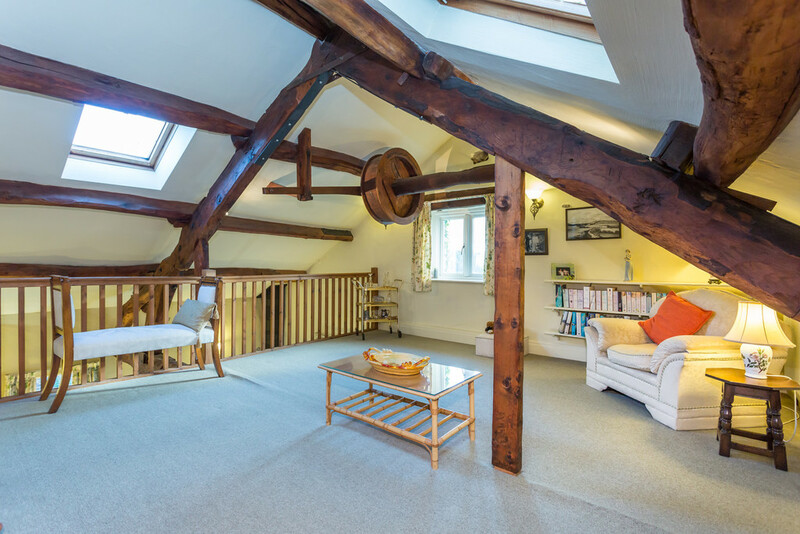 The room’s mezzanine over looks the lounge area and has simply stunning views over the gardens and countryside. 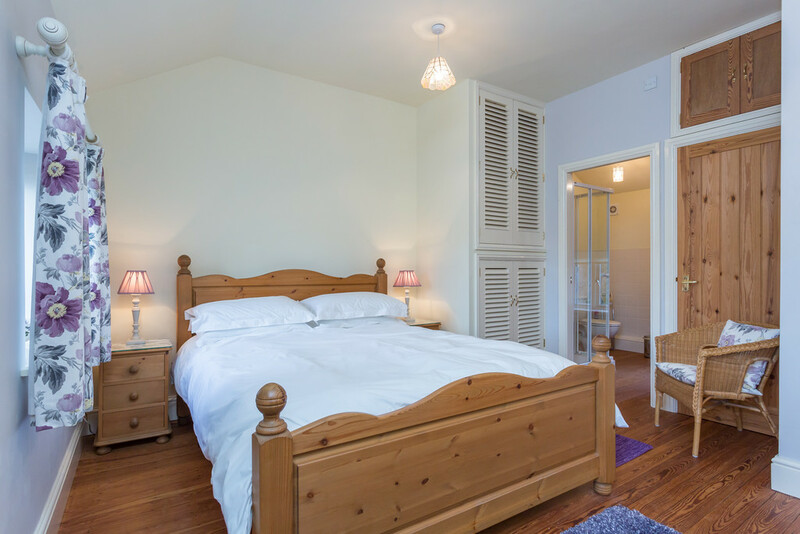 A large bedroom completes this floor and currently provides perfect guest accommodation and has plumbing in place, should an en suite wish to be added. 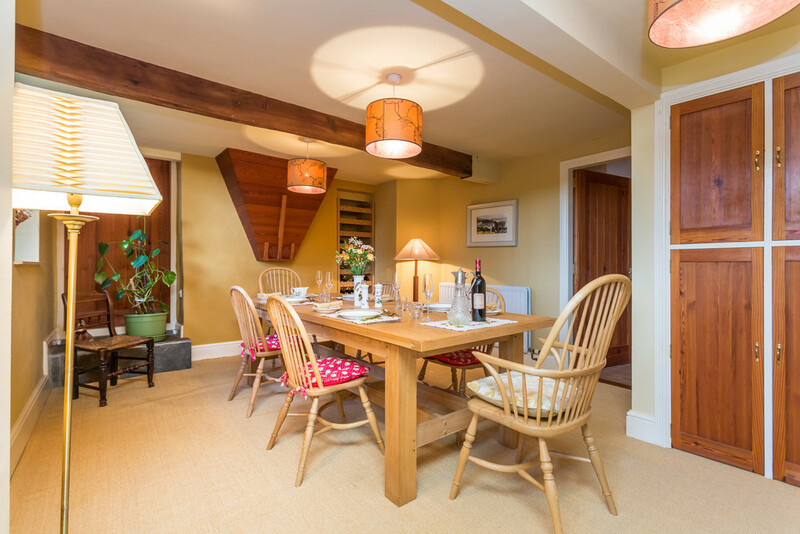 Down the spiral staircase leads you to the ground floor, where the kitchen can be found with a stunning full length outlook to the original water mill. 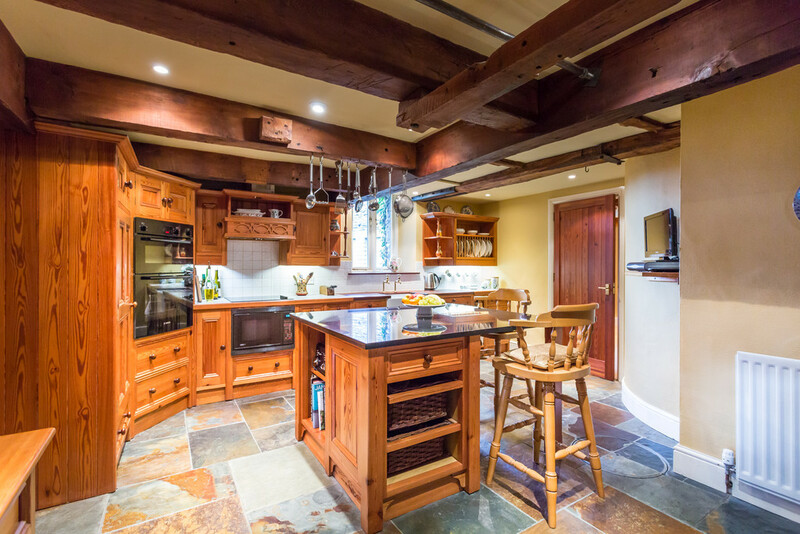 The bespoke pitch pine kitchen houses a central island unit and a variety of wall and base units. Integrated appliances include a large fridge, double oven, microwave, electric hob with extractor over. Off the kitchen there is a useful utility room which has plumbing in place for washing machine & dryer. Accessed from either the kitchen or from the main hall, leads into the large dining room. To this lower ground floor there is two bathrooms, one being a shower room and the other a larger house bathroom. 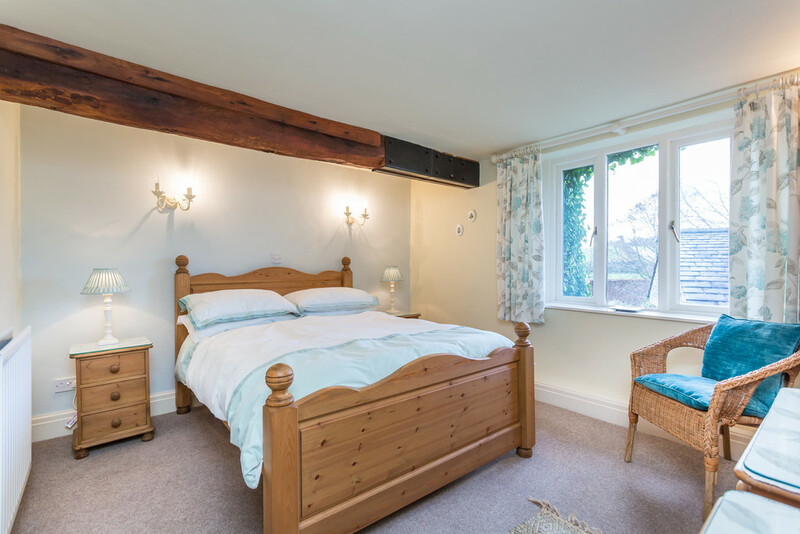 There is also a large double bedroom to this floor, which has an internal access door into the cottage. There is an external door which provides access out to the back of the property towards the garage and into the gardens. GARAGE/WORKSHOP Viver Mill benefits from a large modern but traditionally styled detached double garage/workshop, which is fully insulated, and has the benefit of central heating. The property offers two driveways providing ample room for parking and access straight to the garage from one of the driveways. COTTAGE The property benefits from a ½ bedroom cottage called Mill Cottage, it has private access and is ideal for income generation or for providing ancillary accommodation. Comprising kitchen & living room with a large bedroom upstairs with en suite. Mill Cottage has a private courtyard and also has access from the main house, should the potential purchaser wish to use the property as a whole. 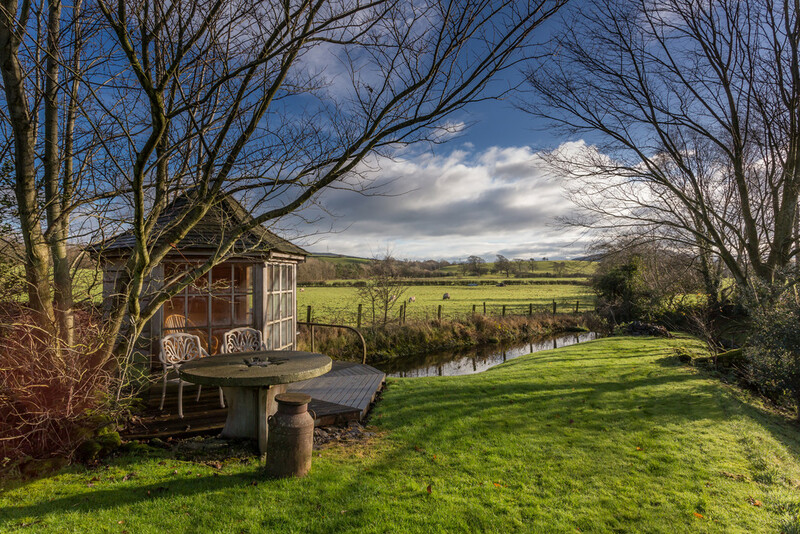 GARDENS The gardens and grounds are simply stunning with panoramic views of the rolling countryside set within 1.5 acres boarded by shrubs and trees. 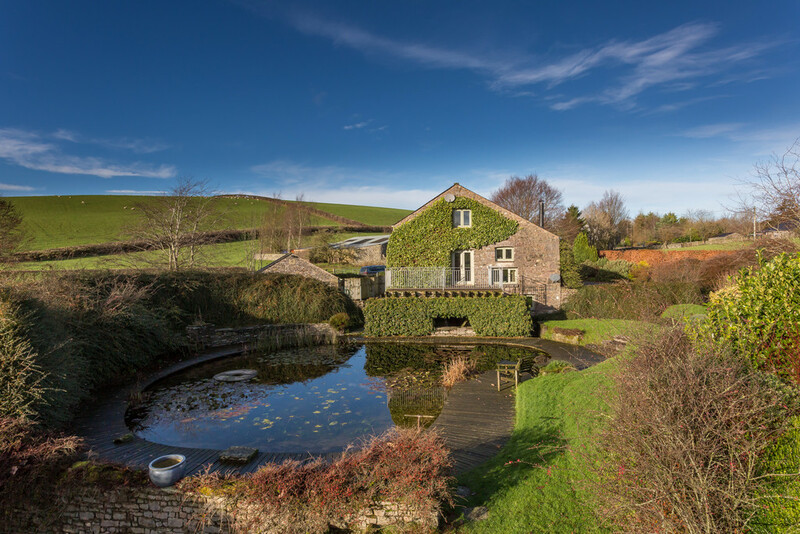 The property is surrounded by lawn and leads down towards the river bed and delightful pond, a restored mill race, an orchard and a summerhouse. There are multiple area for alfresco dining and to enjoy the evening sunset. The property provides two private driveways, which would be ideal should you wish to let the cottage out. DIRECTIONS From Junction 36 of the M6 motorway take the A65 Kirkby Lonsdale exit and head east. At the first roundabout turn left onto the A65 Kendal Road, signposted to Crooklands/Endmoor. Follow the road for about a mile to reach the Crooklands Hotel on the right, signposted to Milnthorpe. Go over the canal bridge and keep right. Continue over the dual carriageway and then turn right at a crossroads, opposite Woodlands Nurseries, signposted to Heversham. Follow the road to a crossroads a turn right, signposted to Stainton. 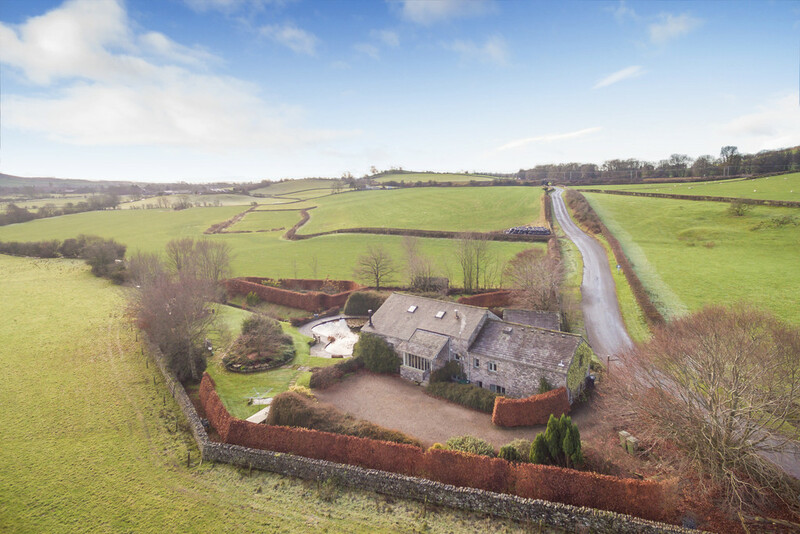 Follow the road for about half a mile to reach the hamlet of Viver and Viver Mill is the first property on the right-hand side.